The Data Protection Commissioner said it has received a number of complaints about the calls, which initially began in November. ‘ROBO-CALLS’ ABOUT abortion in Ireland have begun again, the Data Protection Commissioner has confirmed. The DPC told TheJournal.ie that the calls seem to have commenced again, adding that it has received a number of contacts in its complaints box about them. “One of our own staff members received one to,” added the DPC. 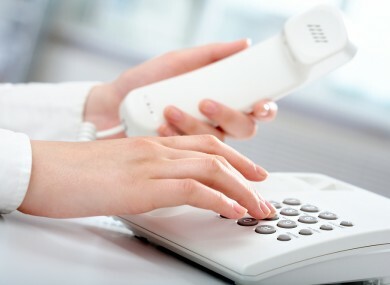 The first unsolicited abortion-related calls emerged in late November, when reports began appearing online of automated calls being made to Irish phones. They came in the wake of the tragic death of Savita Halappanavar in a Galway hospital. Two investigations are currently underway into Mrs Halappanavar’s death. The DPC received more than 500 complaints about that particular spate of calls, which featured a man seeking people’s opinions about abortion in Ireland. The Washington Post has reported that Irish authorities believe that these calls were organised by a US-based anti-abortion group. Such calls are not unusual in the USA, as they are protected by the First Amendment. The DPC has requested the help of the US Federal Trade Commission as it investigates the issue. The Washington Post said that the calls were traced to a person working for a pro-life activist group, but this group’s president has denied its knowledge or involvement in the robo-calls. Email “Abortion 'robo-calls' begin again”. Feedback on “Abortion 'robo-calls' begin again”.